Jem Moment : Giveaway number 2! 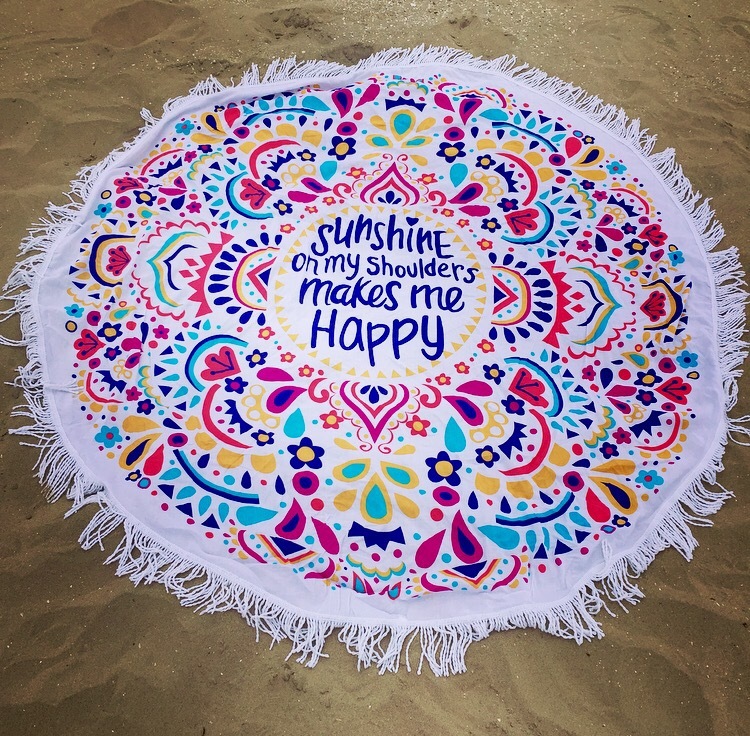 You got a peek at the main item of this giveaway on yesterday’s blog post, but today this ( new and un-used ) beach towel is yours to claim! The bright colors, overall charm and lightweight make it a super easy accessory to pack along. Thank you to all those who take the time to follow, like and comment. To enter, just like and comment (and tag up to three friends over on instagram Jemstory Instagram for some extra entries)! Winner to be announced 09/25/16 !!! As always, looking forward to hearing from you’s! I love this!! I definitely got a better look through the JEMSTORY!! I love your blog . Awesome job Jess on the blog! I enjoy reading every morning after my bus run & a cup of Joe in hand! I love this towel! I just want to head back to summer when I see all those bright and lovely colours. This towel is typical Jem, isn’t it? Adventurous! Love your blog💕 (and I’m not just saying that because I’m your sister and you force me too 😜) What a beauty of a beach towel, would be super excited to win! Cute towel! Love hearing what you are up to! Cute cute cute!!! P.s. pick me! Love the towel Jess! 😘 miss you! Loving the pop of colour ❤ it's super lovely. I just found you sweet and intriguing blog, the concept behind Jem moments is so heart warming 😀 may God bless your sweet family, Jessica. Looking forward to read more of your adventures.